Offering free in-store WiFi is no longer simply a nice customer perk, it’s become integral to the shopping experience. Numerous studies have shown that an overwhelming percentage of consumers not only prefer to shop in stores with free WiFi, but they actually demand it. For brick-and-mortar retailers willing to embrace the digital world and leverage WiFi marketing, they are not only meeting customer expectations, they are driving sales. Wondering if you should invest in retail WiFi? Here are 5 good reasons to offer your customers a free high-speed Internet connection. By providing shoppers with high-speed WiFi to look up product information, read reviews and compare prices, they are able to do all of their research in your store. And, if the reviews and price meet their expectations, they are much more likely to make a purchase on the spot, or from your website. New applications also help shoppers add products to their shopping lists, find aisles for specific items, and discover new products. According to a study conducted by HRC Retail Advisory of 3,000 North American consumers, access to social media while in store is among the top three technology and service offerings that shoppers find important. High-speed retail WiFi makes social sharing from the store easier, and every time a customer shares an Instagram pic or checks-in on Facebook, that’s unpaid promotion for your business. Customers are also more tolerant of waiting in line when they can scroll through their newsfeed. Another study of small businesses who have already converted to free retail WiFi found that it is, in fact, a worthwhile investment. 62% of the businesses surveyed reported that customers spent more time in store, and 50% reported that customers also spent more money. For retailers leveraging WiFi marketing and including promotional offers on their splash pages, in smartphone push notifications and emails, the sales increase is even higher. When shoppers connect to your retail WiFi, you have the ability to learn about their shopping patterns, purchases and habits. You can then use this data to track sales and marketing performance and target offers more effectively. If you use a splash page to collect email addresses or social media profiles, you’ll also grow your customer database, providing you with more individuals to whom you can market in the future. There are a number of ways you can use WiFi to promote your brand, including the message on your WiFi marketing splash page, retargeted ads and follow-up email campaigns. Offering loyalty rewards to your best customers will also keep them coming back for more. With retail WiFi you can access a customer’s visit history and reward return customers with specific products, discounts, rewards programs and other incentives based on number of visits and purchases via their mobile devices. While you could set up your own guest network and provide shoppers with the password – much like you would when you have guests in your home – that is not a recommended best practice for retailers. To truly leverage your in-store WiFi, you’ll want customers to opt-in, so you can collect some data and gain their consent, which requires specialized tools and the help of a retail WiFi provider. Deep Blue Communications is a leader in retail and in-store WiFi services. 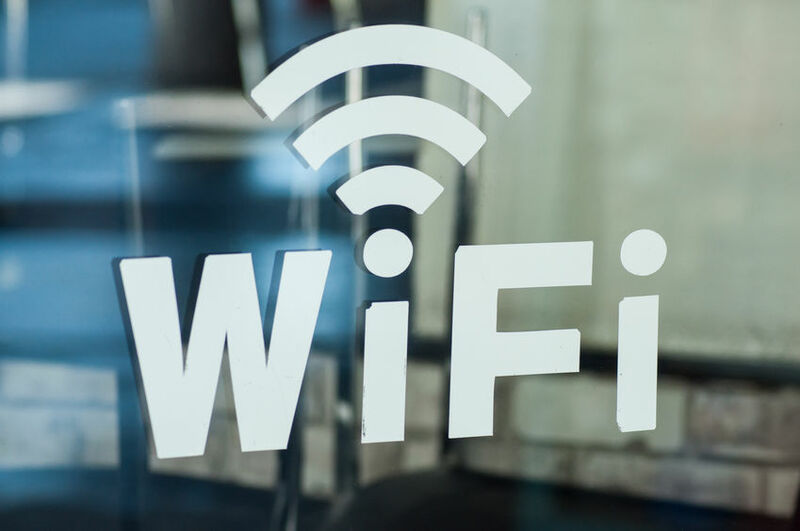 We offer enhanced network services, WiFi engineering and installation, as well as U.S. based WiFi support, and we are the preferred retail WiFi service provider for many national retailers, including Carmax and Planet Fitness. To speak with a Retail WiFi specialist, call 1-844-554-3826 or request a site survey.